One of the interesting things about the dragons of Cantha is the way that many of them carry attributes of other creatures. The drakes of our land, including the primitive, crocodilian nonmagical drakes of Elona and the basilisks that have begun appearing in Kryta, all share a broadly similar lizard-like body shape, albeit with adaptations for their environment and to facilitate their innate magical abilities. 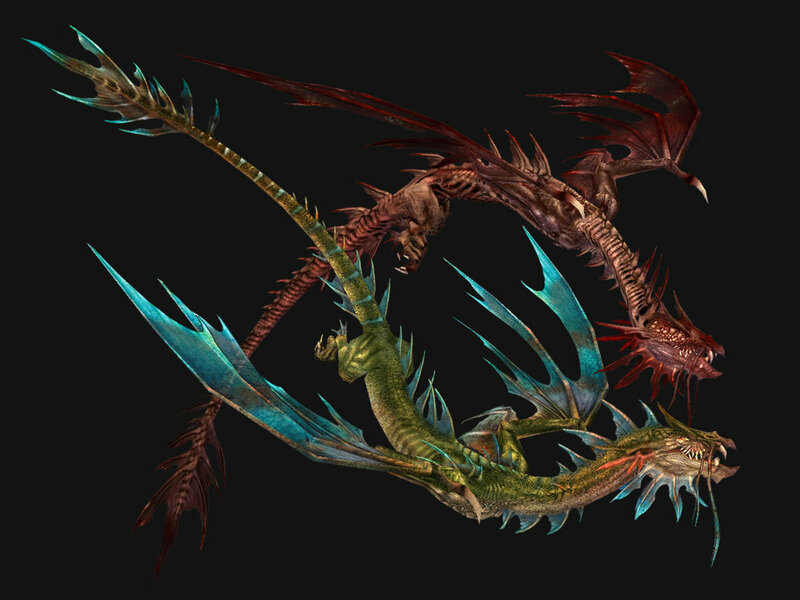 Even hydras show similarities to the tyranni and ferothrax seen in the Tarnished Coast, despite the mutations that have granted them extra heads. Those of Cantha, however, show a wider range of attributes. The Saltsprays of the Jade Sea – serpentine and sinuous, with long wings and stubby legs – had long been accepted as the conventional image of a true dragon until the rise of those now plaguing our homes – although it is interesting to note that the classical artistic depiction of a dragon in Canthan art (equally sinuous but with four legs and no wings) matches no observed species. Stranger, however, are the dragon turtles observed in the Jade Sea and on Shing Jea Island – something that appear, to use the words of a famous oracle, “neither one thing nor another” – but at least these combine the characteristics of two reptiles, even ones that appear otherwise unrelated. 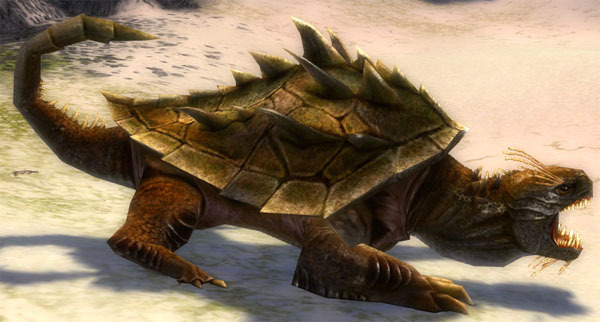 One of the turtle dragons of Cantha, regarded by adventurers and locals alike as quite distinct from the giant turtles reportedly employed by the Luxons to travel the Jade Sea. Surviving depictions of kirin, however, combine the scales and barbels of a Saltspray dragon with a body structure that matches that of no known reptile, but instead resembles hoofed herbivorous mammals like horses and deer. It is worth noting that no surviving records indicate that Canthans considered kirin to be connected to dragons (except through their representation alongside the phoenix and the two dragons mentioned above among the celestials in the trial to become Weh No Su) and where most dragon-like creatures that are not related to the Elder Dragons employ elemental magic, records of kirin show them using magics resembling every school but elementalism. Furthermore, the behaviour of some kirin such as Zunraa appearing and disappearing when summoned suggests that kirin might also be properly regarded as having been creatures of the Mists rather than being properly of our world. 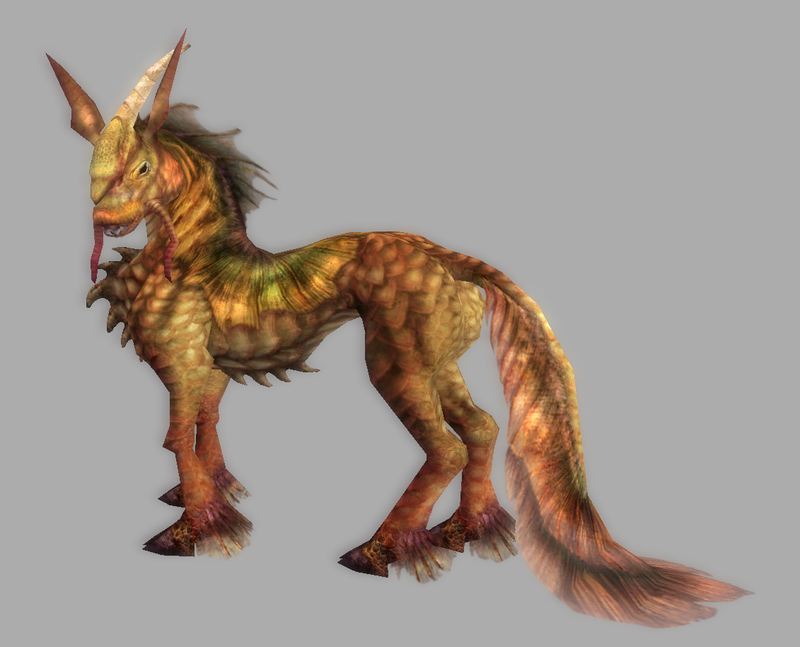 The similarity in appearance, however, is suggestive that whether kirin can technically be considered related to the Saltsprays and Rockhides or not, there is some connection. One of the "dragon lillies" of Shing Jea Island. What could cause a plant to develop into such a clearly draconic form? Strangest of all, however, is that according to reports from adventurers that are believed to be legitimate, even the plants of Cantha seem to be affected. Places of mystical significance such as Haiju Lagoon in Shing Jea and Echovald Forest were inhabited by creatures described as ‘dragon lillies’ and ‘dragon moss’ – creatures that bear little resemblance to lillies or moss, but instead more closely resemble what the Pale Tree might produce if she were to base the next generation of animal-like companions for the Sylvari on drakes instead of canines. With so many dissimilar creatures coming to develop draconic features, it is difficult to believe that ordinary evolution – natural or magical – could have produced so many convergent results. Something either created them this way, or has been influencing the development of magical creatures so that they show draconic features. A prevalent theory among my fellow scholars is that development of such magical creatures in Cantha has been influenced by the presence of an as-yet unknown elder dragon sleeping near or beneath Cantha, with those dragon-like creatures that were known two and a half centuries ago possibly even being descendants of that dragon’s minions when that dragon was once alive. Some are even so bold as to identify this dragon as the same as the “Deep Sea Dragon” – codenamed “Bubbles” by some of my less serious colleagues – that drove the quaggan and krait from the depths of the Unending Ocean into the rivers and lakes of Tyria. A surviving depiction of a kirin. Note the carp-like mouth flanked by barbels, the fishlike scales, and the presence of a fin in the place of a horse's mane. One flaw in this theory, however, is that nothing in the transformation of living (or dead) beings into minions that we have seen from elder dragons such as Zhaitan, Jormag or Kralkatorrik have shown signs of assuming draconic characteristics. Instead, they are imbued with physical representations of what the dragon has power over – such as ice for Jormag’s minions and crystal for the Branded. It is possible, though, that this may not be a flaw but an additional piece of evidence pointing towards the Deep Sea Dragon, as the features that kirin and Saltspray dragons hold in common – scales, fins, and barbels – are also shared with aquatic creatures such as catfish. Such an influence might also go some way to explaining how so many of the fish of the Jade Sea managed to survive and adapt to life atop the petrified waves. Another flaw is the observation that, prior to being driven by the Jade Wind, most of the dragons and dragon-like creatures of Cantha are described as benign or even actively benevolent – which would be unusual to say the least if they were the minions of an elder dragon. The precedent of Glint has shown that powerful dragon minions can turn against their masters while their masters are sleeping and even create more of themselves, so it is possible that something similar happened in Cantha – the elder dragon’s waking champion (possibly the legendary Kuunavang) turned away from their creator and either subverted their former master’s remaining minions or populated Cantha with their own descendants. 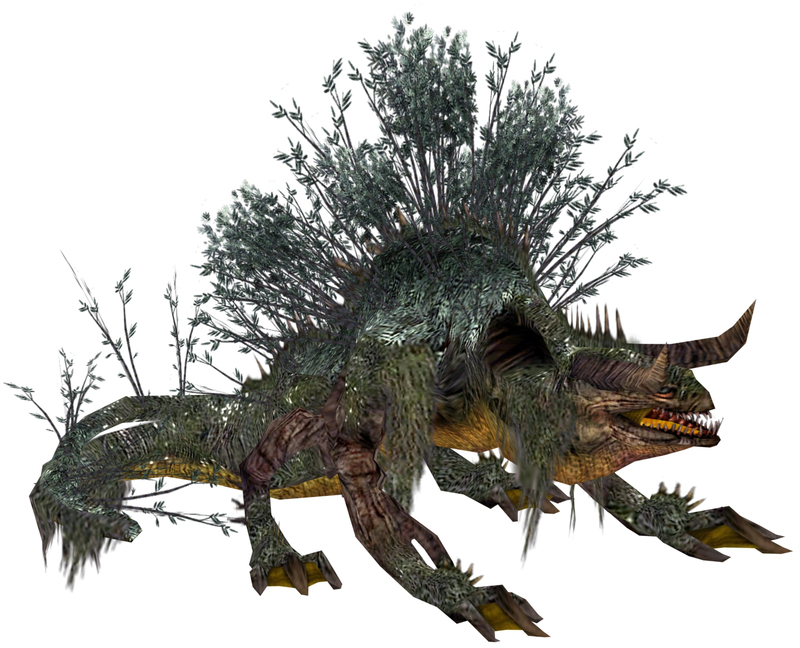 Another, more extreme possibility, is that Cantha was the home of an elder dragon that did not match the inclination towards destruction of its cousins in Tyria. Some hypotheses even suggest that the importance of astrology in Canthan folklore derives in part from some influence of this dragon, tentatively identifying it as the “Elder Dragon of Stars”. 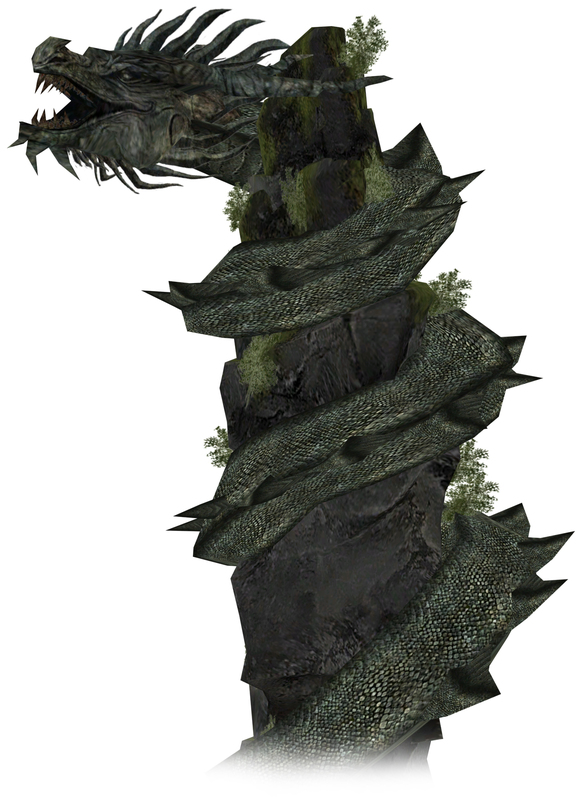 If Canthans have been influenced by this dragon, it might explain why Canthan artwork shows dragons that have never been directly observed by foreigners. Furthermore, if this dragon is not so benevolent as some might hope but has somehow come to regard the Empire of the Dragon as its own, then its stirrings might go some way to explaining the increased aggression of that empire attributed by history to Emperor Usoku. An adventurer's depiction of Kuunavang before (above) and after (below) being released from Shiro's corruption. An elder dragon's champion or just the most powerful of her kind? An alternate theory recently arising among my colleagues is that, while many of the known animal spirits are to be found in the Shiverpeaks among the norn, there may be a true Spirit of Dragon – distinct from the worship of Jormag by the deluded Sons of Svanir – that has made its home in Cantha. Accounts of Canthan celebrations such as the Dragon Festival indicate that the celestial dragon that is of such importance in that festival is also described by the celebrant as the ‘dragon spirit’, suggesting that this may even have been the belief of the Canthans themselves. Some of my colleagues have associated this dragon spirit with Tahmu, a Canthan empress that sacrificed herself to protect her people from an invasion of naga (or possibly misidentified krait) with her power manifesting in the form of a fiery dragon. Unfortunately, the records of that incident do not allow us to identify when it occured, whether before the formation of the Dragon Empire proper or after the Jade Wind, and there is evidence that Canthans may have been invoking the celestial dragon well before it became associated with Tahmu. It is possible that, instead of becoming the dragon spirit, Tahmu simply invoked it, possibly even temporarily “becoming” the dragon in a similar manner to norn assuming the forms of their totem animals. A third possible explanation may come from the action of the long-departed original servants of the gods on this world, the serpentine Forgotten. Canthan records indicate that the Forgotten were active on Cantha as they were in Tyria, but they appear to have approved of human expansion in Cantha while they initially sought to oppose it in at least some parts of Tyria. Apart from these records, however, nothing has been identified as physical evidence that the Forgotten were active on Tyria. Could the dragons of Cantha – benign until driven mad by the Jade Wind – have been the legacy of the Forgotten, placed or created as caretakers of the land in the serpents’ stead? A depiction of a feature sighted by Tyrian adventurers in Cantha. Since the rise of the Elder Dragons, some of my colleagues have suggested that this might be another sleeping elder dragon - but the prevailing theory is that it's just Canthan architecture. Note the lack of a Saltspray's wings or, in fact, resemblance to any known species. 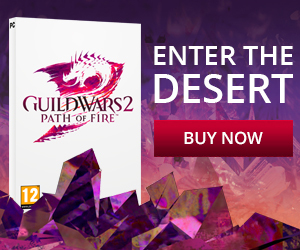 While the old legends relate that the serpents were brought to Tyria by the gods, the Forgotten have long been associated with the dragon Glint, who guided and, according to her, protected the Forgotten that remained in the Crystal Desert after the Exodus. Older legends suggest that the Forgotten were aiding and serving the former champion of Kralkatorrik well before the war between Abaddon and the other gods. This relationship appears to have gone deep into the Forgotten psyche – further investigations into the facets of the gods first studied by the asura Kerrsh in 1078AE (which appear as ghostly reflections of Glint) have revealed that they are constructs of the Forgotten and how they view the Six rather than direct representations of the power of the gods (despite theories that arose after the rise of Zhaitan from beneath Orr that the draconic appearance of the facets indicated that the power of the gods was derived from the elder dragons). With this in mind, it is possible that the Forgotten may have considered it appropriate to imbue draconic characteristics in the magical beings they appointed as their replacements on the southern continent. Some might say that, while the elder dragons continue to menace the civilisations of Tyria, the question of the nature of the younger dragons of Cantha remains little more than an academic curiousity, a waste of time compared to studies that might address more pressing concerns. This may be true. However, should the dragon Zhaitan ever be slain and the sea route to Cantha reopened, the true nature of the dragons of Cantha might become of great importance – whether the mystery they represent veils a hidden enemy, a possible ally, or simply a source of new insight into the nature of dragons that might be of value in the struggle to remove the threat of their larger, older and more destructive cousins that remain our unwanted neighbours uncomfortably close to home. 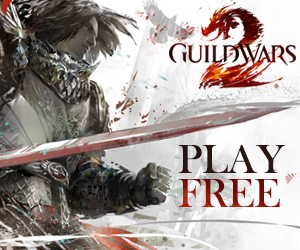 Previous: Can Guild Wars 2 be an eSport?